A nice savory and spicy chip dip is the perfect dish to bring to a party or barbecue. In a 6 cup glass baking dish you'll layer half of each of the ingredients. Start with the cream cheese, spreading it on the bottom of the dish. Then add half the black beans, olives, cheddar cheese and Wet Wizard Verde. Repeat. Bake for 15 minutes until cheese is melted. 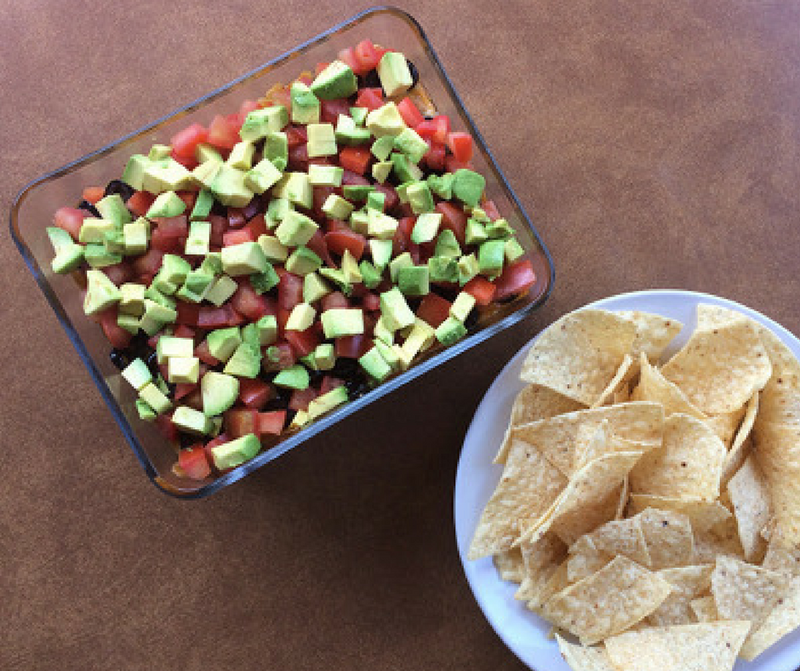 Top with tomatoes and avocado, then serve!